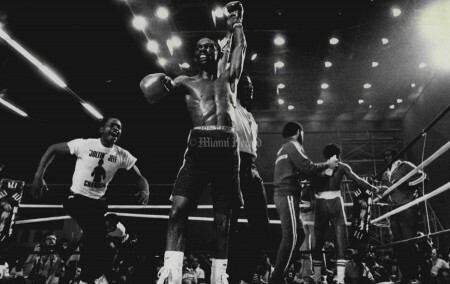 In the boxing world, South Florida is best known for the 5th Street Gym in Miami Beach where Muhammad Ali trained along with other greats such as George Foreman and Sugar Ray Leonard. 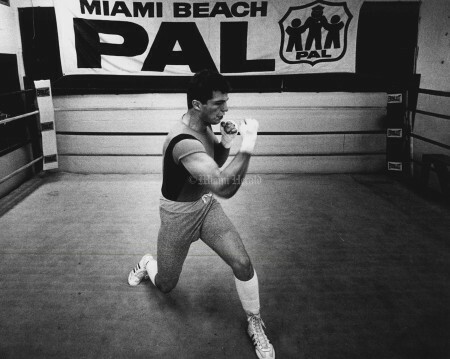 But there were countless others training in more obscure gyms in Miami as they tried to break into the big time using their brawn. The fight that drew Miami into the national spotlight was the 1964 Cassius Clay-Sonny Liston heavyweight championship fight on Miami Beach. 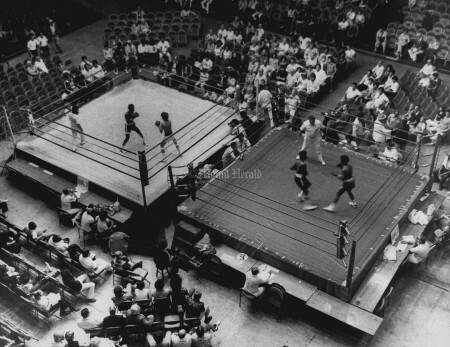 And the man who pushed the area into prominence was Beach promoter, Chris Dundee. Dundee was the person who worked the deal with Louisville businessmen to have Clay train at the 5th Street Gym and fight Liston at the Miami Beach Convention Center. 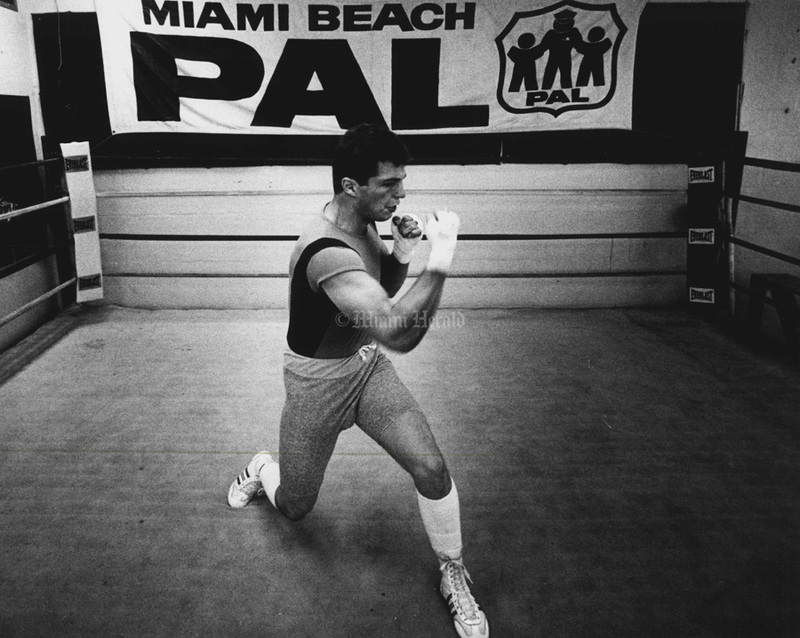 In the early 1980s, Miami was fertile soil for predominantly Latin American shows. 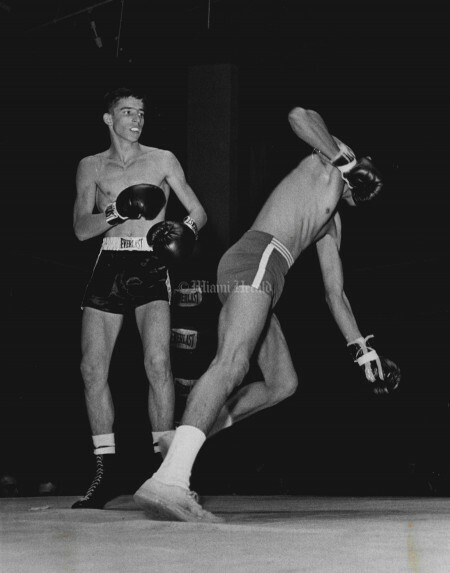 During that time, the driving forces in were Tuto Zabala and Willy Martinez. 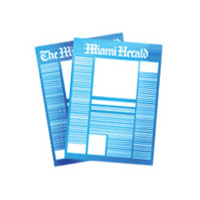 Zabala successfully tapped into the Colombian market by bringing in highly popular Miguel “Happy” Lora, among others. 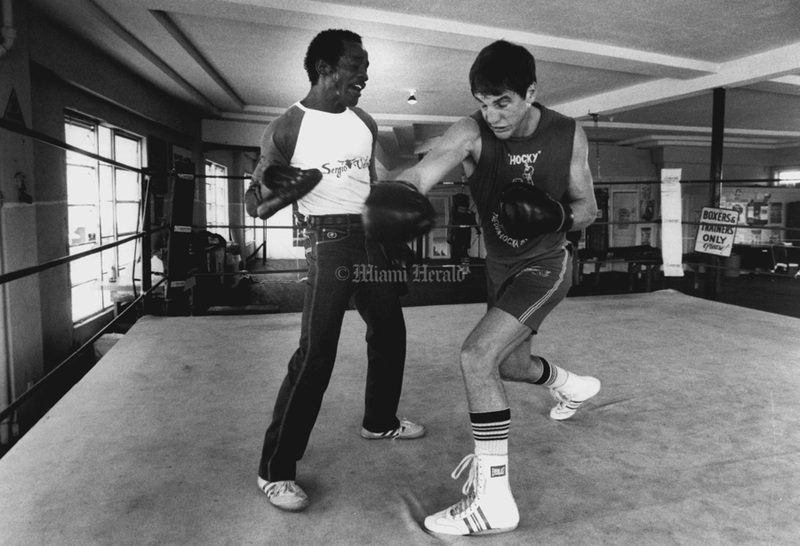 5/19/1982, Tim Chapman/Miami Herald: Boxing. 11/15/1980, John Pineda/Miami Herald: Jeff Chandler triumphs over Jubrain Sole. 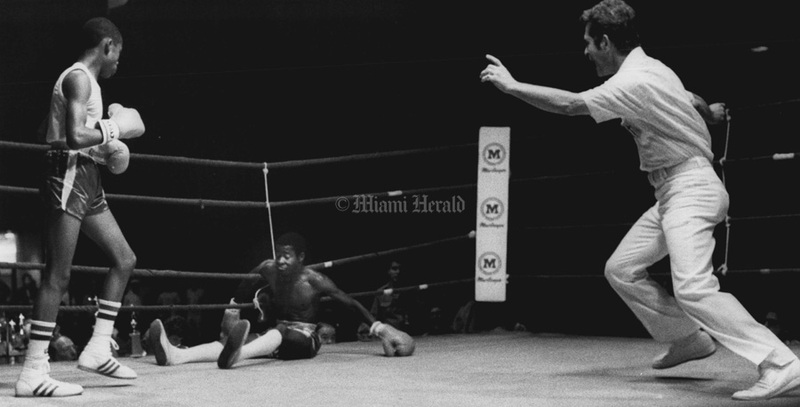 3/10/1980, Bob East/Miami Herald: Keith Jackson Stands ready, but Leslie Freeman is down for the count and later lost on decision in open 106 class. 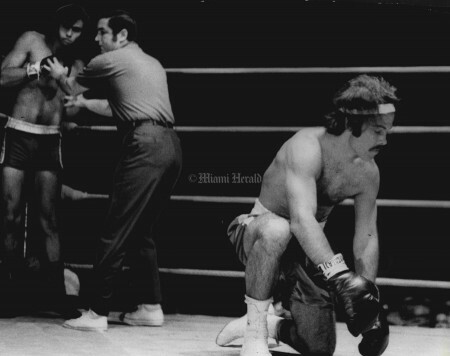 2/8/1973, Albert Coya/Miami Herald: Boxing at Golden Gloves competition. 3/19/1977: Boxing - Golden Gloves. 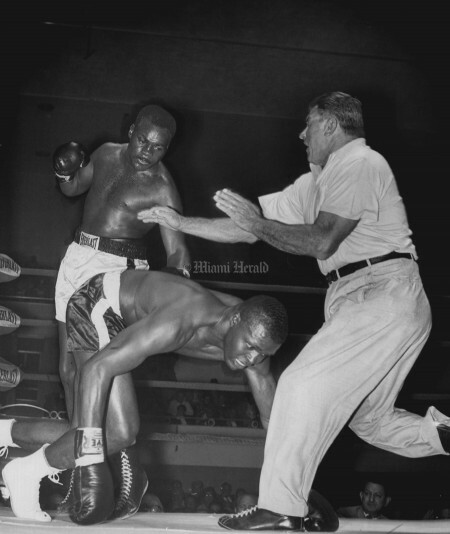 11/30/1965, John Pineda/Miami Herald: Doug Jones stands poised as Chip Johnson heads for a fall. 2/27/1968, Albert Coya/Miami Herald: Fred Waltz, left, knocks out David Jumpbird, in 1:35 of the first round. 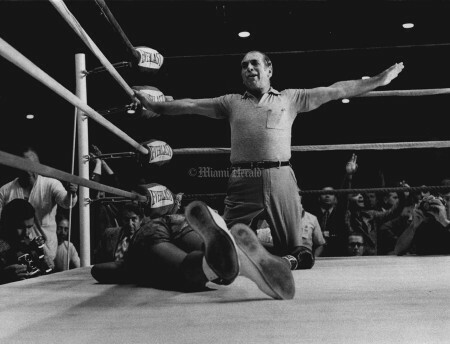 4/8/1972, John Pineda/Miami Herald: Referee Cy Gottfried counts 10 and out over Vincente Rondon at 2:55 of second round. 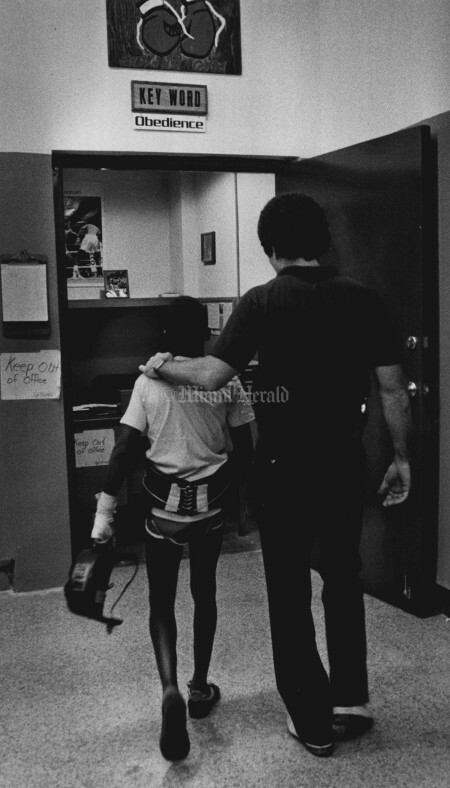 12/13/1988, Al Diaz/Miami Herald: Luis "Kid" Monzote and Mauricio Rodriquez horse around for photograph. 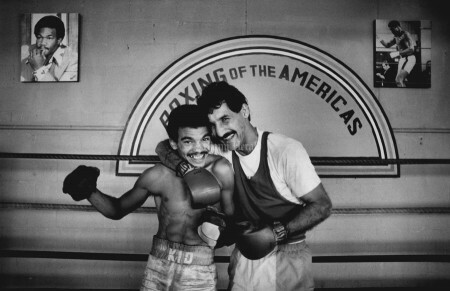 The two are Mariel immigrants and are featured fighters on a local card Friday night. 4/7/1988, Mary Lou Foy/Miami Herald: Jimmy Navarro, a teacher and Pro at Tropical Boxing Center helps Carlos Moro work out. 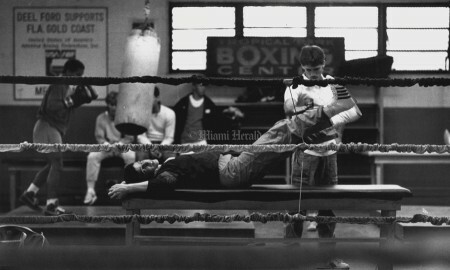 3/30/1986, Robin Cohen/Miami Herald: Official congratulates Cory Edward from the Miami Police Dept. 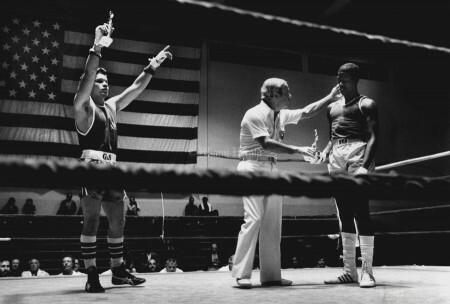 Program on a fight while Sandro De Andrade from Allen Park Gym holds his hands up in Victory. 5/17/1984, Randy Bazemore/Miami Herald: Kenny Klingman shadow boxing in ring at PAL Gym. 1/19/1984, Randy Bazemore/Miami Herald: Boxing. 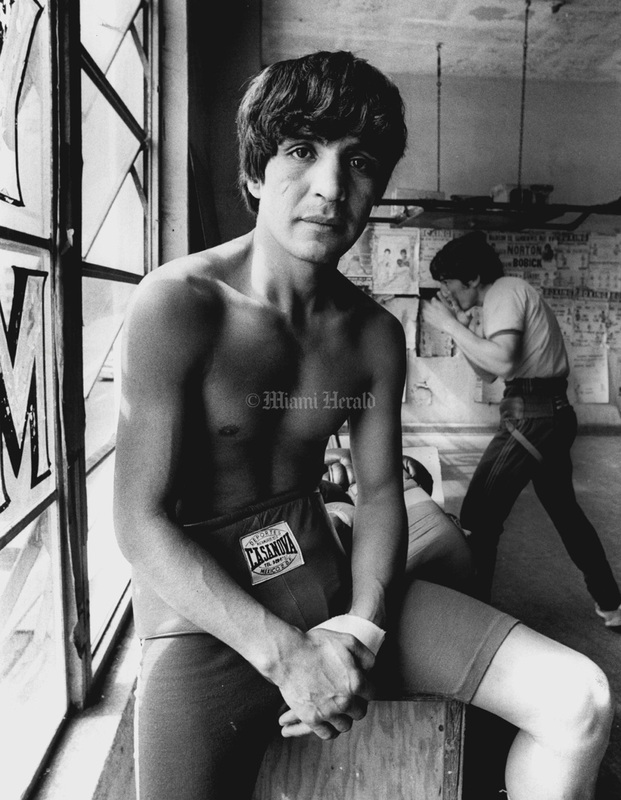 12/15/1983, Randy Bazemore/Miami Herald: David Ham, part owner Fifth St. Gym works out with boxer. 9/9/1983. 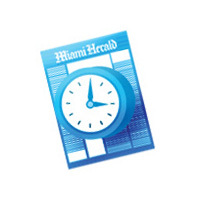 Marice Cohn Band/Miami Herald: Boys at Gibson Gym Police & Kid L.T. 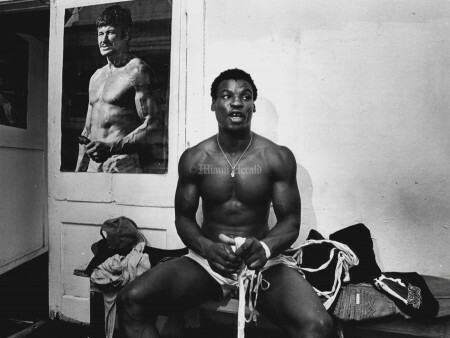 9/9/1988: Sgt. Pat Burns comforts Bright Eyes Linn Correa strong 11 after he got popped in the chin at Gibson Gym. 6/24/1982, Carol Guzy/Miami Herald: Boxing Match at North Miami Beach. 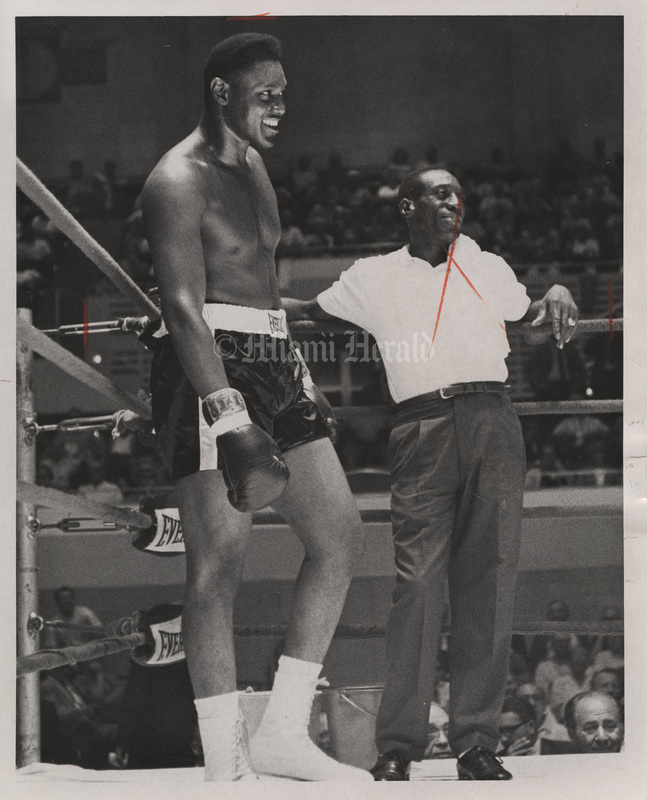 Copyright © The Miami Herald, 1967 [Al Jones;Memphis Al Jones;boxer;Preacher;The Ring magazine's Fighter of The Month;5th Street Gym] 5/2/1967, Bob East/Miami Herald: Al Jones.